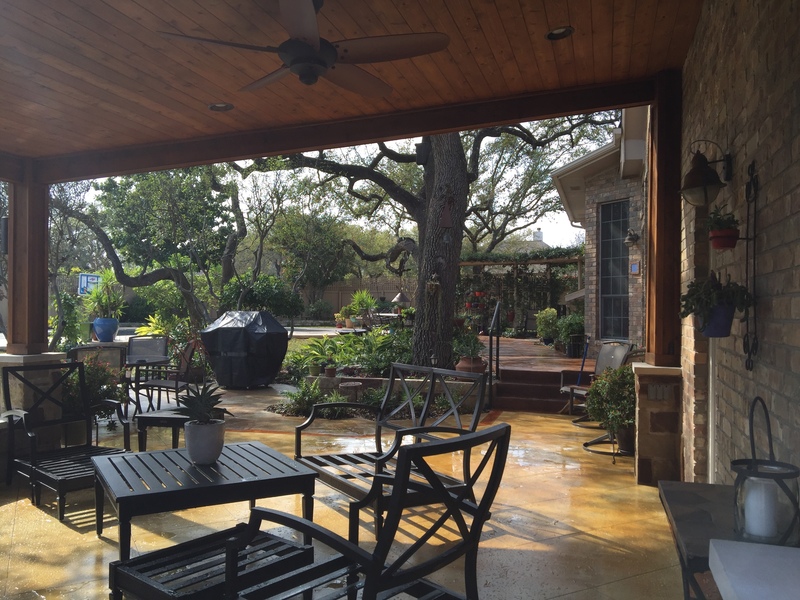 An Outdoor Living Oasis in Circle C Ranch That Was Three Years in the Making! How often do you catch yourself thinking…”if I just had an unlimited budget and all the time in the world”? This is something we often hear during our initial consultation with homeowners, when we ask what they envision as their ideal outdoor living space. It’s a common misconception that the perfect outdoor living space is beyond affordable. Archadeck of Austin wants you to know you don’t have to delay creating your ideal backyard retreat any longer. We offer a phased building program that allows you to construct your outdoor living space combination project in phases as your lifestyle and/or budget permit. We start by working directly with you to fulfill your vision of the ideal backyard retreat through the design of a “master plan” which details all the structures to be incorporated within your completed design. With this master plan in hand, we can divide the project into phases easier to swallow from a budgetary and lifestyle perspective. One of our most recent completed projects is the perfect example of a project built in phases. The project is located in beautiful Circle C Ranch in South Austin. The first phase of the project consisted of modifying one end on the rear of the home with a stain & score concrete hardscape extension. 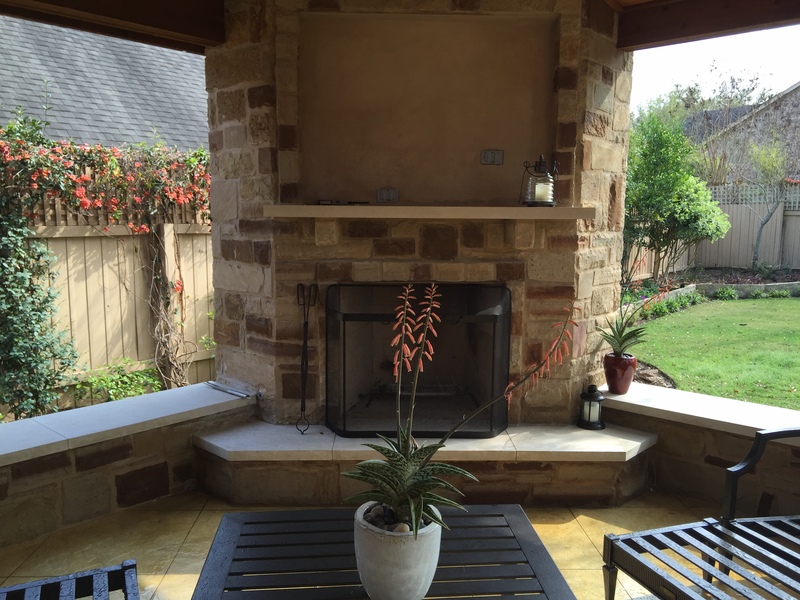 The second, and final phase, consisted of adding a patio cover with a cozy corner fireplace. The project timeline spanned three years, and was just recently completed in 2016. 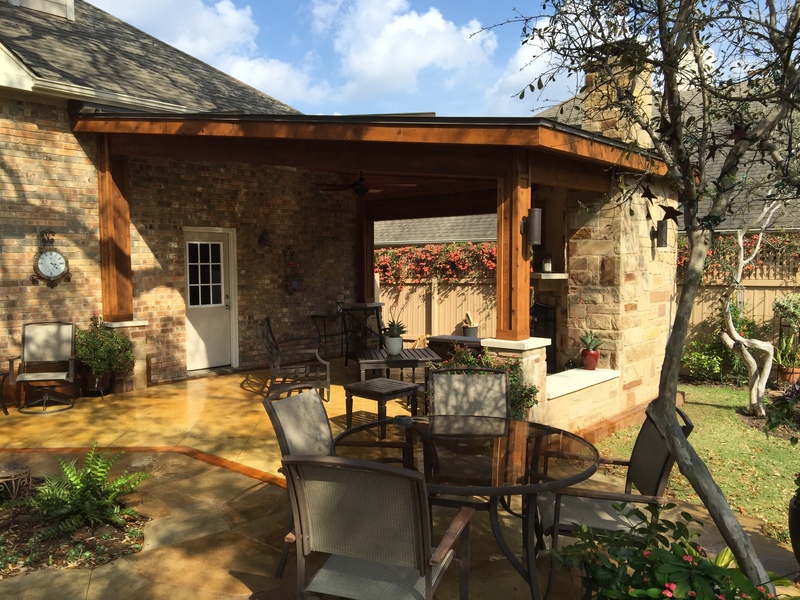 The project scope for the initial phase included excavation and repouring the tiered concrete patios and surround(s), this also allowed us to proactively pour the foundation for the upcoming open porch cover. Also during the second phase, changes were made to ensure the covered porch roof tucked into the soffit on an angle as to not obstruct the view coming from theback door of the home, as elevation was a specific concern in this area. We engineered and implemented the perfect solution through the use of a unique shed/hip roof design, which also mimics the rooflines found on of the existing home. 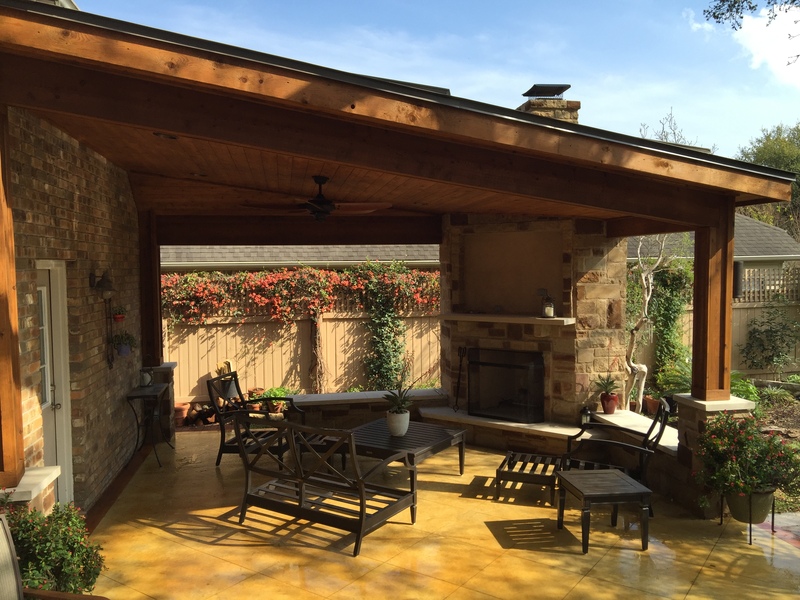 The finished patio cover includes a corner fireplace and serves as a versatile addition as it includes a special niche designed to house the homeowner’s TV. The fireplace is beautifully wrapped in stone complimenting the Cedar tongue and groove ceiling of the porch and enhancing the rustic vibe. We finished the space off with elegant sconce lighting. Working closely with the homeowners and abiding by the projects master plan allowed Archadeck of Austin to work out engineering, designing and building specifics allowing for efficient future additions and amendments. To ensure a unified outdoor environment, the structural integrity, traffic flow and ultimate function of each portion of the project scope were priority considerations during each phase of building. If you have a vision of your dream backyard but you’re not ready to complete it all at one time, our phased building program is the perfect answer. We can bring the backyard of your dreams to life one beautiful stage at a time. Contact Archadeck of Austin to learn more about our innovative approach to outdoor structure building. You can reach us at ( 512) 259 – 8282 or email us at jim.odom@archadeck.net. This entry was posted on April 17, 2016 by austinporchandpatio. It was filed under Archadeck of Austin, Covered patio Austin, Covered Patios, Covered porches, Multi-structure outdoor living areas, Outdoor fire place, Outdoor rooms, Western red cedar and was tagged with Archadeck of Austin, Archadeck of Austin phased building program, Austin covered patio, Austin covered porches, Austin outdoor fire place, Austin outdoor room, Build your dream backyard in stages, Circle C Ranch Patio Builder, Circle C Ranch porch cover with corner fireplace, outdoor living space combinations, Unique patio designs Austin TX.